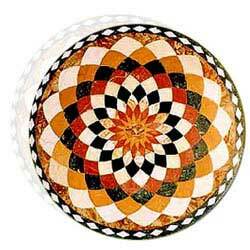 Let the world know of your aesthetic sense! 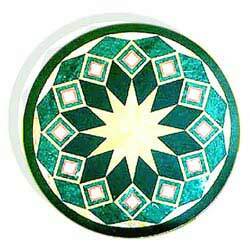 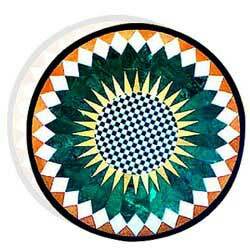 Possess this circular table top and accentuate the aesthetic appeal of your house! 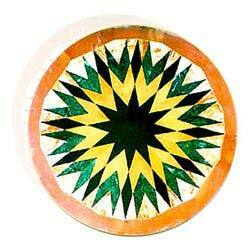 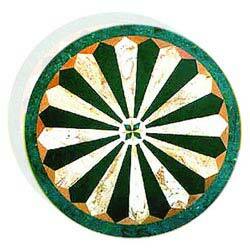 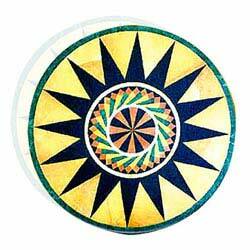 The roundness of this circular table has been emphasized upon by geometrical designs in different colors. 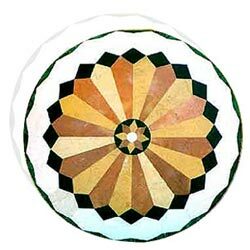 Stones have been overlaid over the base to create a beautiful mosaic. 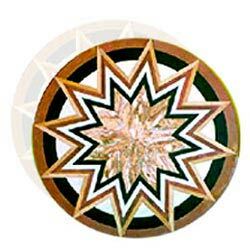 Beautifuly designed table top, made as a result of overlay work, creating a magic out of stones.